WAGON NR. 12. Yes we finally are entering the wagon Nr.12, we have compartment 3. 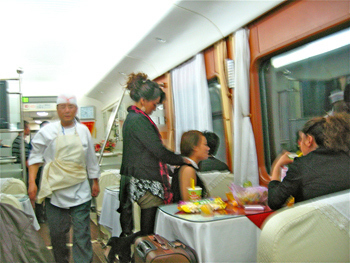 Our Chinese guide never had done it before, he brought us first to the wrong Nr.12, the railcar destined to go only to the border town Dongan The railcars bound to the border were full to the ceiling with luggage and people, no space for sleeping. So we were happily surprised to find another railcar Nr.12 at the very end of the train, more than half empty with a compartment for four, ready and awaiting just us two. There were three other guys from Berlin and a group from North America. Nobody else. How wrong I was! Stopping every three hours at another city, I was in a daze. 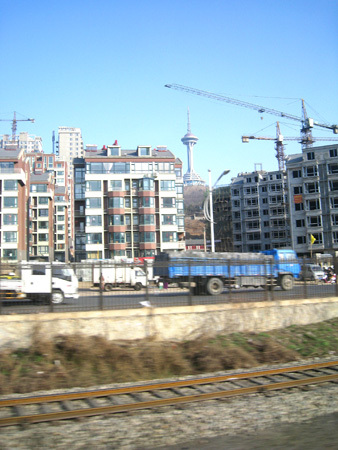 It felt like moving from boom town to boom town, new cities were being built, I counted hundreds of skyscrapers at each stop, cranes everywhere as if Beijing had never stopped! 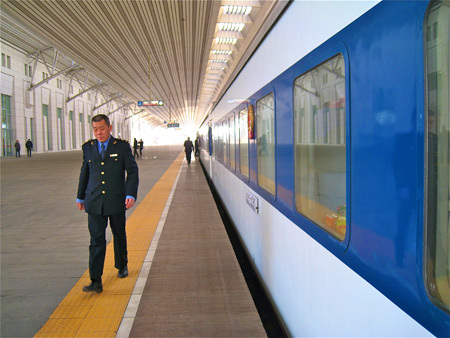 But not only housing but also factories, shopping malls, roads, new highways, brand new railway stations and last but not least pillars like beansprouts for the Chinese-made super speed train, based on Siemens technology. 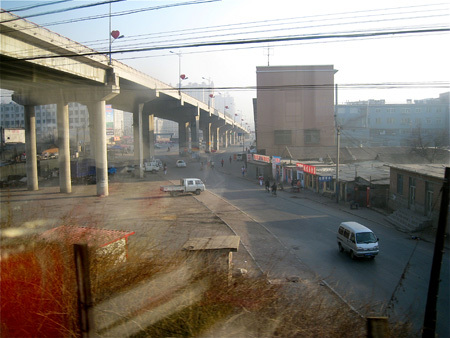 My eyes glued to the window, I entered a totally new world spanning from Beijing right to the border of North Korea. What in my imagination had been a no-mansland is actually most electrifying: modern transportation facilities and city building hit the North Korean border with a vengeance. What would this do to North Korea in the not too distant future? What meaning did it carry for the hermetically sealed North Korea, how would this affect THE ONLY PARADISE LEFT ON EARTH as the communist PR-machine is praising North Korea? 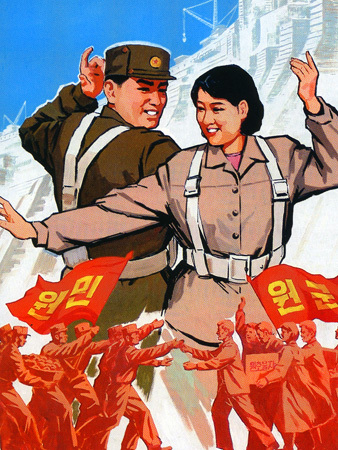 Is an uprising possible in the family dictatorship of the KIM’S? 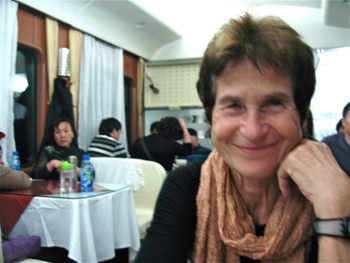 ON OUR WAY to the railwaystation in Beijing, Ursula asks our chinese friend: „What means North Korea for China?“ He smiles: „China is like Big Brother to North Korea. Big Brother can criticise small brother but foreigner can not. Then he continues: „China braucht Nordkorea.“ I ask: „How come?“ He smiles: „There is a saying in China: Ohne Lippen haben die Zähne kalt.